Maria Popova has read and written thousands of pieces of content over the last 12 years of BrainPickings.org. I’ve followed Maria for at least the last 3 years since my existential crisis and have easily read 100+ posts on her site. Popova came to America from Bulgaria to get a liberal arts education with the “promise of being taught how to live.” She admits the education didn’t live up to the hype; eventually she would take learning into her own hands as an autodidact. And, we are all glad she did. One of her top learnings is to “build pockets of stillness into your life.” I think she would be a fan of downshifting, becoming unbusy, and slow living. 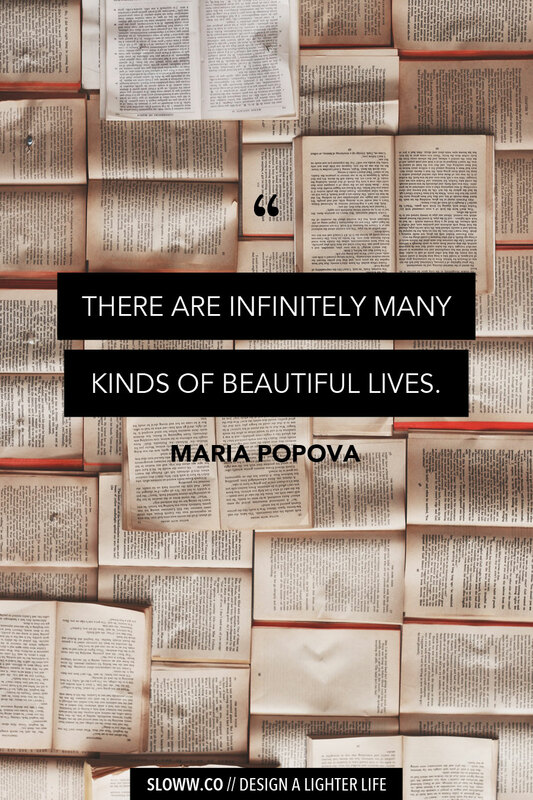 This final learning is pulled straight from Maria’s own list. At first glance, it may seem like one of the more forgettable lessons, but it is absolutely critical for living a meaningful and authentic life (in my opinion). Creating your own life purpose can be a daunting task. It’s even more overwhelming if you think that it’s something that must last forever. Give yourself the freedom to edit your life purpose. If how I spend today is how I spend the rest of my days, would I be happy? Would I be fulfilled and proud? Would I feel a sense of purpose? And at the very end when my cosmic day is done and I look back, will it have been a good life? Will it have been a meaningful life? I find this interesting and educating. I hope and pray that being a member of this great medium will add knowledge to humanity. I agree, Abdussalam! Currently 55% of the world has internet access. As more and more people get connected, the information age will be in full swing. The next step is turning that information into knowledge.